If you have Netflix, you’ve probably heard the name “Marie Kondo”. If not, there’s a good chance you’ll soon encounter Marie Kondo and her book, The Life-Changing Magic of Tidying Up. The KonMari Method has taken the cultural zeitgeist by storm. But do the lessons of Ms. Kondo carry weight in the boardroom? Let’s talk about it. Marie Kondo is an organizing consultant. It means she’s really good at throwing things away. In 2011, she published a book, The Life-Changing Magic of Tidying Up. That book became so popular that, in 2015, she was included on the list of Time’s 100 most influential people. In 2019, her show, Tidying Up With Marie Kondo, debuted on Netflix. Just like that, Marie Kondo became a household name. Marie Kondo is overwhelmingly joyful, relentlessly patient; she’s who the world needs now. But what does she preach? Rule 1: Commit yourself to tidying up. Rule 2: Imagine your ideal lifestyle. Rule 3: Finish discarding first. Rule 4: Tidy by category, not by location. Rule 5: Follow the right order. Rule 6: Ask yourself if it sparks joy. These six simple rules have changed lives in 2019. Now, let’s talk about how they can revolutionize your boardroom. How can the KonMari method help you make better decisions this year. The KonMari method, of course, was not designed with directors in mind. We’re not saying this is a heavily-researched and prescriptive best practice for helping a board make better decisions. It is simply food for thought for any board interested in increasing its decision-making effectiveness and unsure where to begin. If you’re going to lead a board in maximizing its decision-making effectiveness, you’re going to need everyone on board. But it’s easy enough to simply say you’re on board. Getting board members to commit to concrete unambiguous improvements is one of the best ways to increase their chance of follow-through. If you’ve identified that your board is in need of some “tidying up”, it can help to envision what an ideal board meeting looks like. In doing so, you’re filtering out all the distractions, weaknesses, and inefficiencies you’ll eventually need to eliminate. When you imagine what the ideal board looks like to you, ask yourself what stays, what goes, and what comes. Knowing what additions, omissions, and revisions need to be made to empower your board is one of the first steps you can take in making improvements. We haven’t done much to sculpt this rule around a board of directors. Simply put, before you begin making improvements to your decision-making effectiveness, you need to identify what’s holding you back. Figure out what needs to be discarded before determining what to add or change to fill in the gap. Making sweeping adjustments to your boardroom procedures is unwise. It can very easily become chaotic. We recommend focusing on one “category” of improvements each quarter. For example, a board might dedicate one quarter to deliberative inefficiencies: anything which eats up valuable meeting time by simply slowing down the conversation. 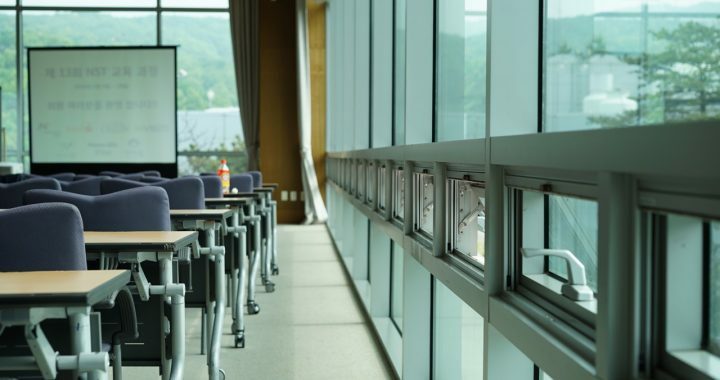 A board might address this problem by cutting back on meeting time which allows for unstructured conversations and revising the bylaws to set time limits and structure for such talks. When a board commits to making more effective decisions, it can help to follow these steps: (1) cut out anything which detracts from decision-making, (2) revising a board’s practices to accommodate the subtraction as much as possible, and (3) implementing new processes and resources to enhance decision-making effectiveness wherever possible. Throughout the process of implementing changes which enhance a board’s decision-making effectiveness, you must ask whether the changes you’ve made make a board more effective. This is the KonMari equivalent of asking does the item you’ve chosen to keep “spark joy”. It’s an easy question-and-answer system for determining whether action needs to be taken. If an item does not spark joy, throw it away. SImilarly, if a process or resource does not make a board more effective, find something that does. If our guide to using the KonMari method falls short of sparking joy, we hope it has, at the very least, sparked thought. There’s no one-to-one translation between the teachings of Ms. Kondo and helping your board increase its decision-making effectiveness, but the KonMari method is a good place to start when thinking about how to change your board for the better. For more insights on decision-making and board governance, visit the Directorpoint blog. 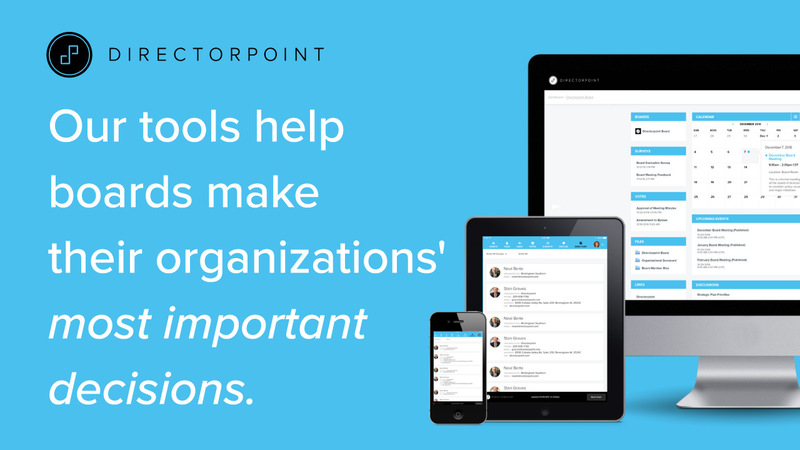 To learn how Directorpoint is helping organizations make better decisions across the board, schedule a demo today! Posted in Blog and tagged better decision-making, Board engagement, Board Governance, board of directors, boardroom, Decision Making. Do Board Characteristics Matter to the Ethical Reputation of Financial Institutions? Does Your Board Need a Cybersecurity or IT Committee?